Earlier this spring, Courtney took me to Charlottesville for my birthday. Rather than taking 29 straight down, we took the scenic route through Fredericksburg and Orange County. I love driving that way, reminiscing about my time in college and the drives I would take with my friend Lulu up to Fredericksburg. There are always lots of yard sales along the Constitution Route. We weren’t planning a stop, but a chair caught my eye along the side of the road. 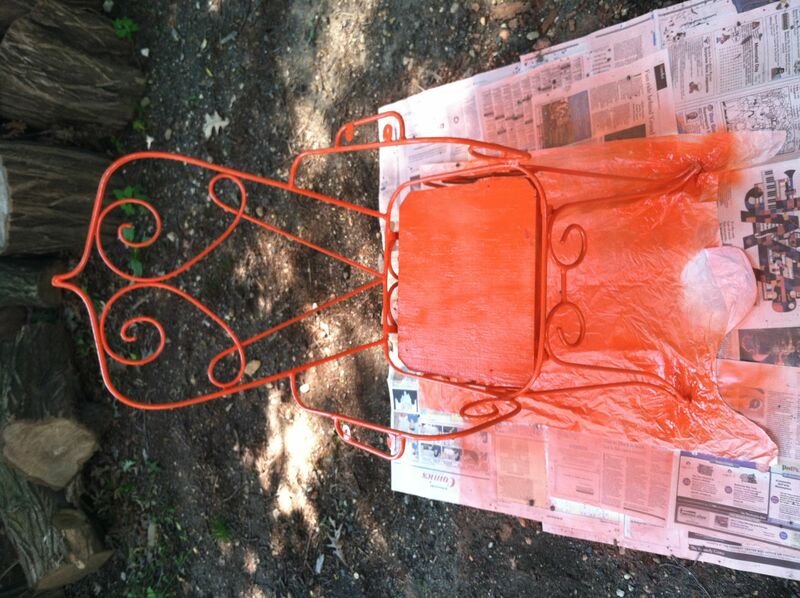 I’d been wanting to find or create retro lawn furniture for a while and this was just what I was looking for. This was what inspired me initially but I would never pay that price for it. 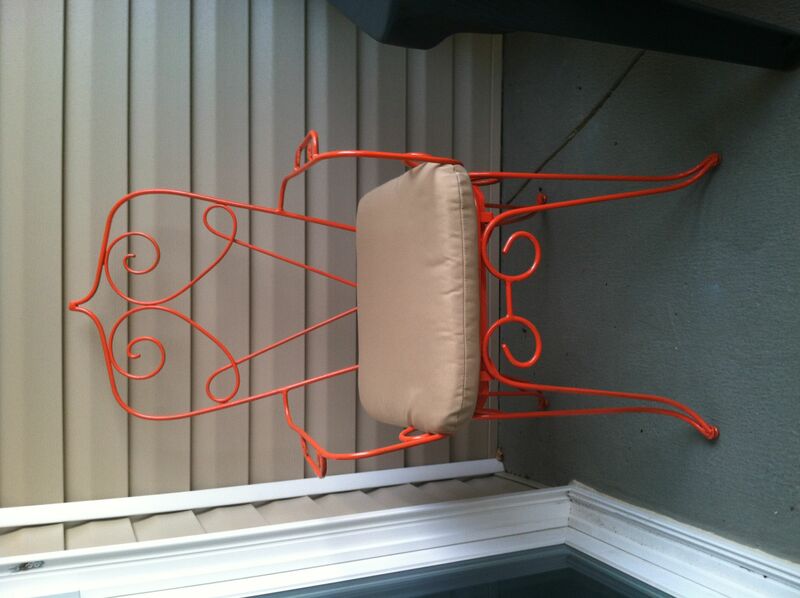 C got the chair for $10. We made out like bandits! 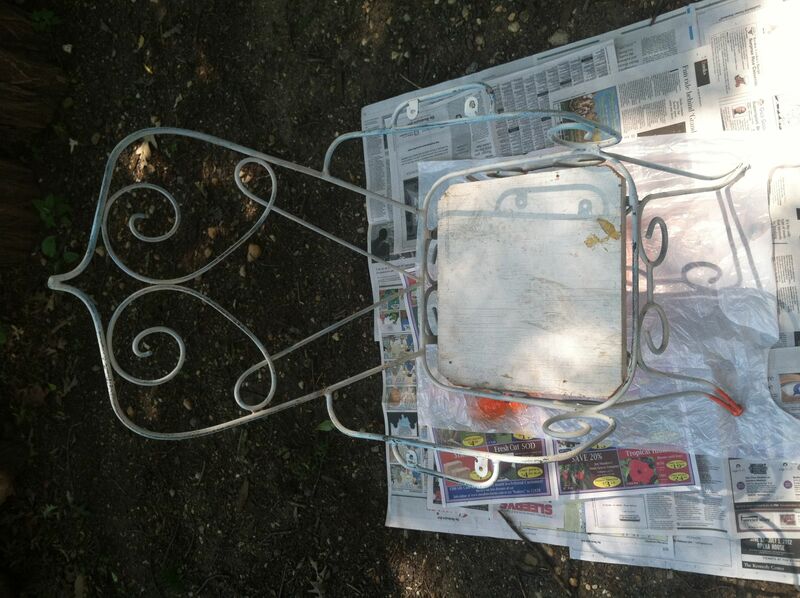 To start, we sanded the chair using sandpaper and a wire brush. We left it a little rough so it would keep its antiquey look. Then, we had to find an open space near my apartment. 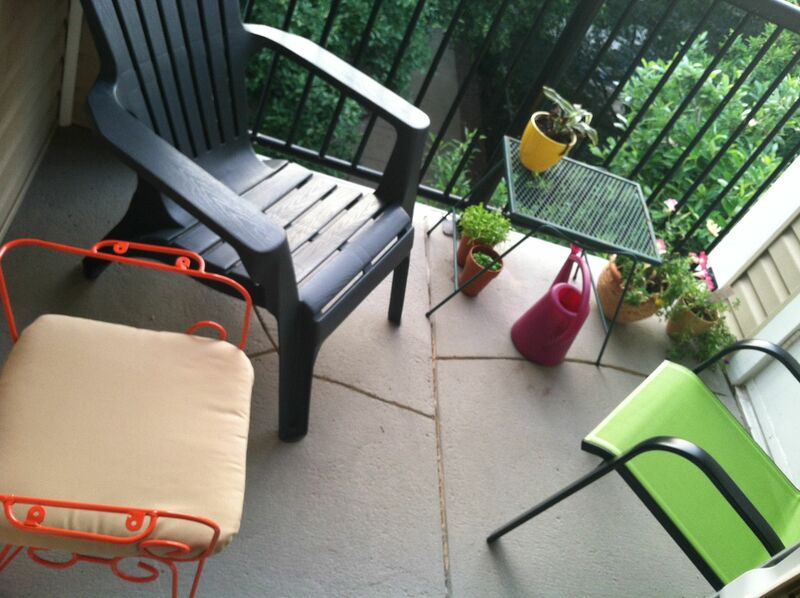 It’s difficult to do messy DIY projects like this in an apartment complex… no room! We took turns spraying and critiquing each other’s painting skills until it was covered. We let it dry for a little over an hour before carefully moving it up to my porch to finish drying. I bought a cushion on sale at Target. 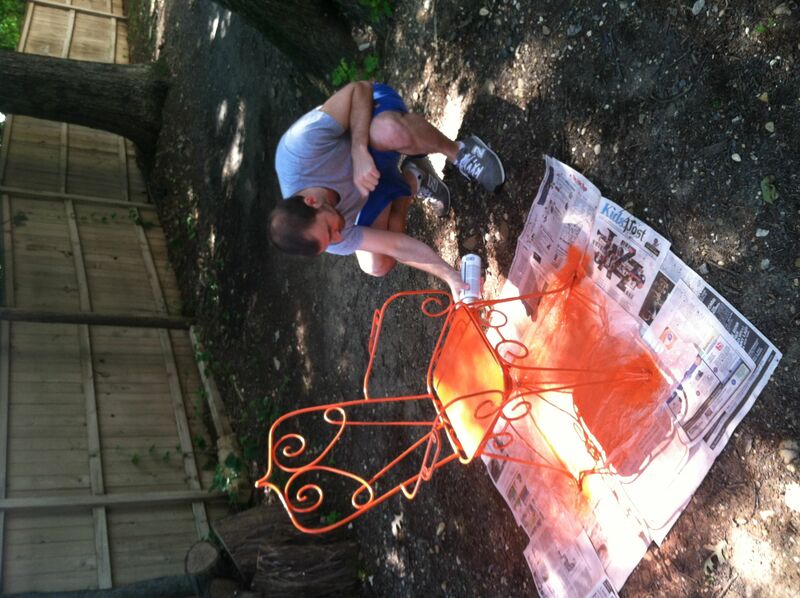 I think the neutral cushion balances the bright orange just enough. Crowded but cozy balcony. 🙂 It was a great project for a long weekend when we had a little extra time. 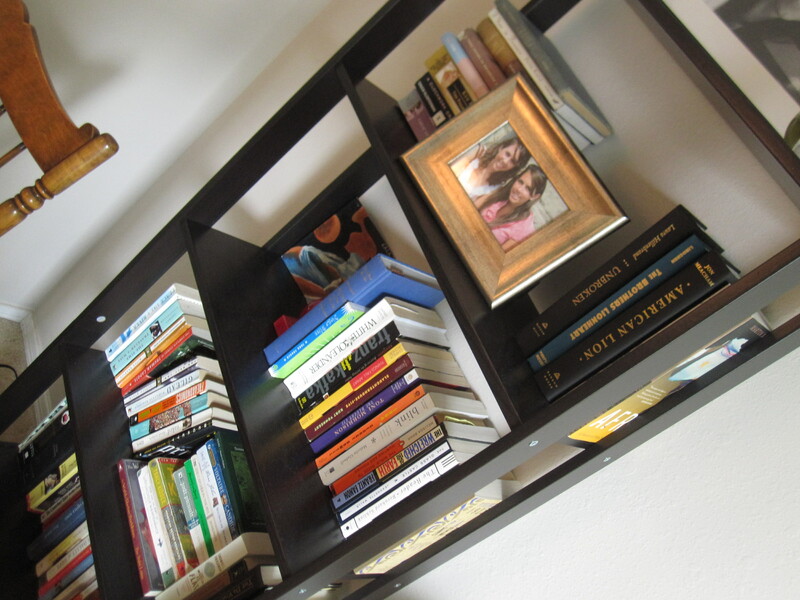 I found my bookshelf a couple weeks back… What do you think? I went with the Ikea one I mentioned here, mostly due to budget, but I’m really happy with it. It was only $25! It came with paneling to put in the back, but C suggested leaving it open and I think he was right. 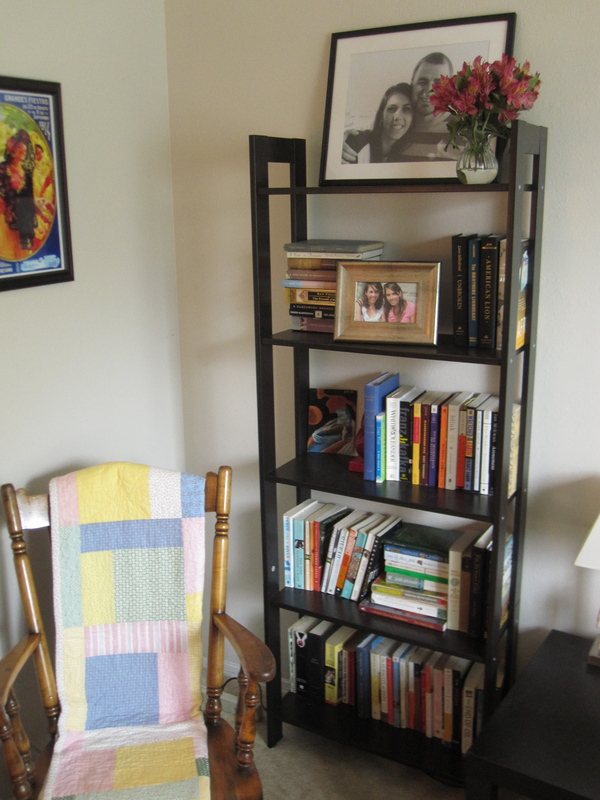 At last, a home for my books!